One preacher who has dramatically impacted the way I preach, teach and view my walk with Jesus is Ron Dunn. 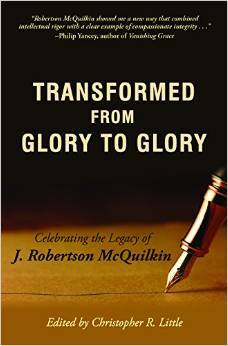 His biography is a powerful story of how God is glorified in the weakness and struggles of his servants. Don’s miss this book! The book would be worth reading just for the sermons that are included at the end of each section. Once you read the book go over to www.rondunn.com and download podcasts of his messages. I just finished my second listen of a four part study on Colossians. From my summer reading let me recommend a book by a long time friend Dr. Ralph Enlow. Ralph makes the case that leaders can fail in being as effective as they could be because they leave out a critical “color” as they “paint” in their leadership journey. He weaves biblical truth with current events and fascinating historical snapshots. He also drops practical tips for any leader along the way including some excellent resources on relational health and the relationship between leading and learning. You will take away several websites to visit that can add to your leadership toolbox. A good resource for someone leading who wants to step back and look around for any blind spots. It will help you clarify and focus on learning curves that will enhance your leadership. MUST READ FOR EVERY AMERICAN CHRISTIAN! A study was done of American Pastors asking them to list the top issues or problems facing the church today. Every black pastor placed racial reconciliation near the top of their list. None of the white pastors even put it on their list. When I start sharing about what God is teaching me about reconciliation my fellow white Christians sometimes say, “Why are you living in the past?” “Civil Rights was fixed in the 60s.” The majority ethnic group in America (for just a few more years) just cannot seem to enter into the shoes of an African American brother or sister in Christ and even begin to see America through their eyes. Pastor John Piper’s new book BLOODLINES: RACE, CROSS AND THE CHRISTIAN has been the study of our Wednesday 7 AM at Bojangle’s group of 2 white guys and 2 black guys for several months. We have laughed together, “Amened” (is that a word) together, and teared up together. God is doing some special stuff in our hearts. Ask Jesus to give you eyes to see and ears to hear and then read this book. This book explores a tension between blacks and whites in American in their perception of race problems. Dr. Isaac Mwase, a Black professor and pastor says the race problem is THE most important issue facing the Church today. In contrast Daniel summarizes the view of race by most white evangelicals (of which I am one) as 1) Still entrenched in inherited racism and only interested in the Bible if it reinforces their prejudiced views. 2) Many people assume the Bible simply does not speak to the race issue or 3) Many other whites are simply indifferent to the problem assuming the status quo is acceptable and the Bible supports their current practices. I was probably between descriptions two and three just 10 years ago. Reading this book is another step in seeking to bring racial issues under the authority of Scripture. I am seeking to answer the question, “How should a white man in the early 21st century express being a Christ follower?” Daniel Hays research helped me in my journey. He confirms some things I had suspected in going back through Bible commentaries and surveys (written by white authors) that I had studied over the past 40 years..there were not only blind spots there was poor scholarship and errors being perpetuated. He also challenged me to read the Scripture with a more accurate perception of race and ethnic diversity that I had for the most part read over. His book follows a biblical flow with chapters covering sections of the Old Testament and then the New — ending with God’s vision of the kingdom found in John’s Revelation. WILL YOU AND I BE SOME OF THOSE LEADERS? In two recent novels, The Kite Runner and A Thousand Splendid Suns, Khaled Hosseini gives us an intimate glimpse into the recent history of the Afghan people. He give us an accurate time line filled with fictional characters rich with complex relationships and challenges. THE KITE RUNNER is now a movie and should help us in the West have a better understanding of the rich heritage and culture. Both probe serious themes but always mix tragedy with hope and joy. It is so amazing to be reminded that children learn to play in a war zone of pain and death.